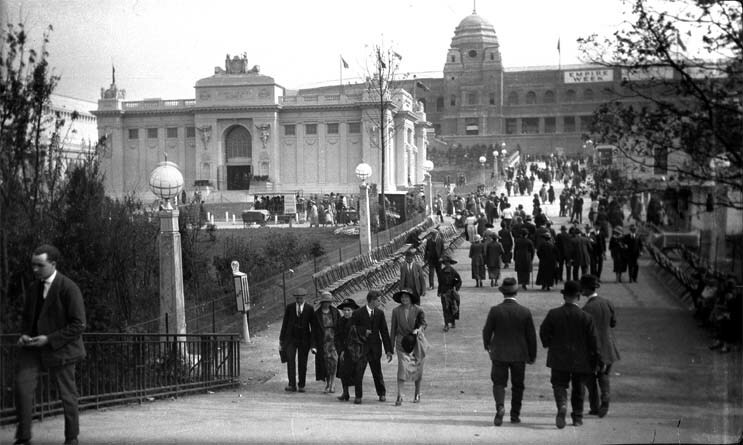 This shot taken in 1924 shows Wembley Stadium (or the Empire Stadium as it was known at the time) when it first opened.Wembley and the Empire Exhibition came out of two ideas.One to revamp that part of North London and two, give the country a much needed boost after the first World War.The official opening of Wembley and the Empire Exhibition was on St. George's Day 23rd April 1924 by King George and Queen Mary.Though because the stadium was finished a year before the rest of the exhibition, the F.A. Cup final of 1923 was held there between Bolton and West Ham. Bolton winning 2 - 0.The official attendance was 126,047,but because of a London team playing and general interest in the new stadium the genuine total was over 200,000 people. 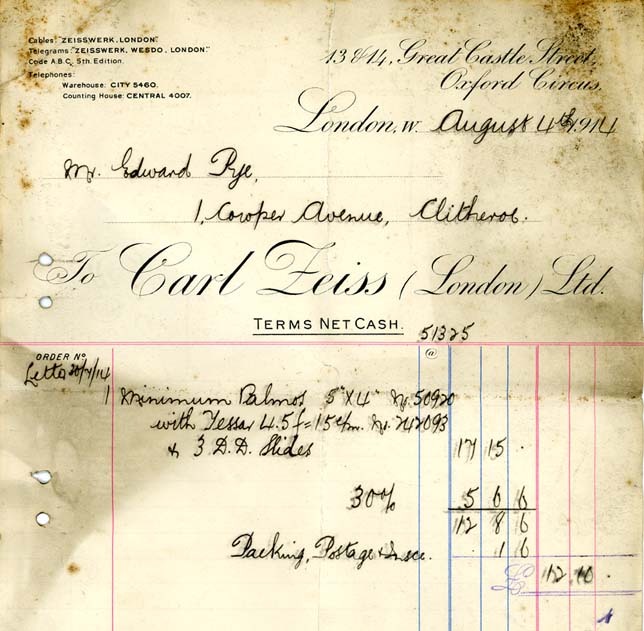 Going back ten years even earlier is a receipt for a rather nice Carl Zeiss camera bought from Great Castle Street,Oxford Circus. 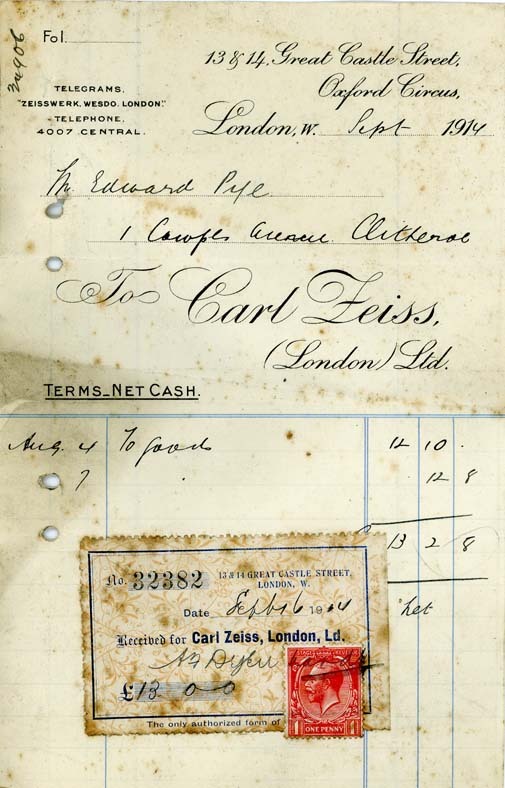 And another shopping spree receipt from 1914.